“portfolio” approach to managing customers and their value. Data-Driven marketing campaigns and programs. may hold your own personal portfolio of stocks. time, as what you can sell assets for changes almost daily. as a potential or future value. buyers, heaviest visitors, and so forth. to spend a lot of resources trying to grow their potential. that drag them back across to the upper right corner. and tend to actually lose a lot more money than they make. quadrants of the customer portfolio. visits, whatever behavior is monetized by the business. Relax. Can you take the pebble from my hand, grasshopper? grasshopper Kung Fu” if you really need to know. measure it and act on it? what they are and exactly how to use them. over time are called the Customer LifeCycle. tracking behavior in the present. portfolio management from above into action. over time mutate into dissatisfaction and defection. to serve themselves though the web or a telephone interface. and less tolerant of friction. that flag increasing or decreasing friction. 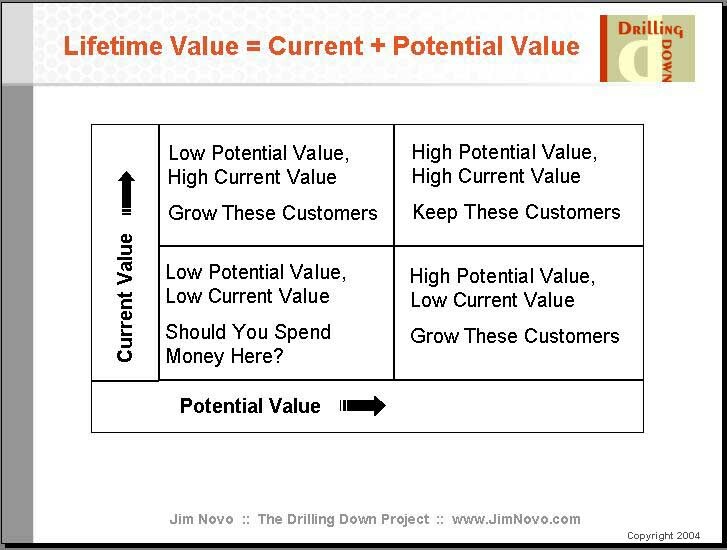 friction and increase the potential value of the customer. applied, and even when it should be applied a second time. friction and prevent the relationship from seizing up. conversion to goal on the web site. bottom line of your company. dewasa dan mengawini induknya sendiri.” peserta ketiga berusaha menjelaskan. “Bagaimana bila ayam betina mati sebelum ayam jantan yang sudah dewasa sempat mengawininya?” Peserta ketiga pun tidak bisa menjawab sanggahan Baginda. la pun dimasukkan ke penjara. Kini tiba giliran Abu Nawas. la berkata, “Yang pasti adalah telur dulu, baru ayam.” “Coba terangkan secara logis.” kata Baginda ingin tahu “Ayam bisa mengenal telur, sebaliknya telur tidak mengenal ayam.” kata Abu Nawas singkat. Agak lama Baginda Raja merenung. Kali ini Baginda tidak nyanggah alasan Abu Nawas. Istirahat kalau perlu, tapi jangan berhenti. Siapa tahu berhasil pada usaha berikutnya. kau tetap tak boleh berhenti.